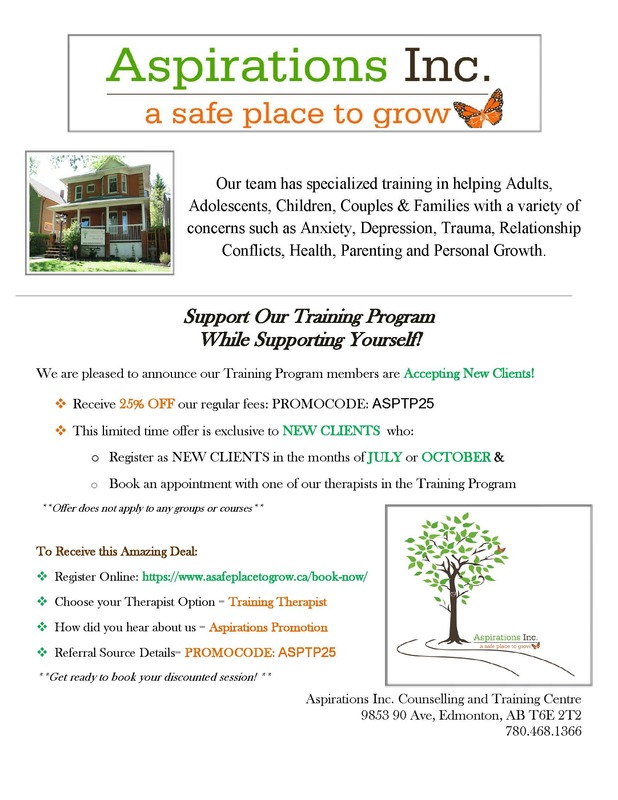 At Aspirations Inc. we have a lovely team of specialized training therapists helping in adults, adolescents, children, couples and families with many different varieties of concerns such as anxiety, depression, trauma, relationship conflicts and many more! For the month of October we are offering new customers to begin sessions with one of these training therapists and receive 25% off our regular fees. This limited time offer is only exluseivly for NEW CLIENTS and does not apply to any groups or courses. For further information take a look at the poster or BOOK NOW and one of our admins will follow up with you shortly.